FHCA’s ALF Core Training Program is designed to prepare prospective assisted living facility administrators for taking the state required core competency exam, as well as current ALF administrators needing to complete the core training requirements. ALF nursing directors and leadership team members will also benefit from this training's comprehensive education related to regulatory requirements in an assisted living facility. FHCA's ALF Core Training Program is approved for 26 hours of continuing education, meets the requirements of the Department of Elder Affairs Assisted Living Facility Core Training Curriculum (Florida Statute 429.52 and 58A-5.0191(1)(a), F.A.C) and includes the ALF Core Training Manual. Provide detailed information related to daily operations of an assisted living facility including but not limited to: purpose of an assisted living facility, Minimum requirements for an ALF Administrator, Understand components of a medical record, Basics of Admission Criteria and other components of the required curriculum. Provide information related to inspections, surveys and reporting requirements in an assisted living facility. Provide needed resources for regulatory compliance in the future and to be prepared for core training examination to be the administrator or knowledgeable team member of an assisted living facility in Florida. * Please note Day 4 will end at 3:00 p.m.
Broom has been a Registered Nurse for 32 years with 20 of those years in long term care. She is a Licensed Risk Manager and for six years, was the administrator of a 68-bed assisted living center with an ECC license. 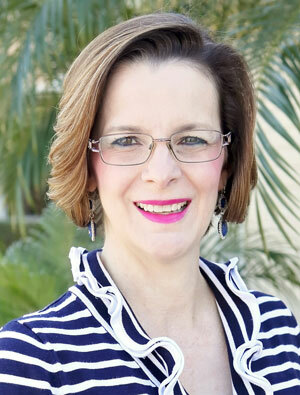 She came to FHCA in May of 2017 and is the liaison to FHCA’s Florida Center for Assisted Living (FCAL) Committee.